* HPT Heat Series Part 3: Hosted by Real Science Radio's Bob Enyart. * Heat in the Atmosphere & Oceans: [Check back on April 6th for the embedded videos & graphics!] Enyart continues his interview Bryan Nickel, a mechanical engineer who's spent 18 years in the missile division of a U.S. aerospace firm, about the criticism that Dr. Walt Brown's Hydroplate Theory would bring catastrophic heat to the Earth's surface during the global flood. The guys address four critics, anti-creationists Glen Kuban and Tony Reed, and fellow young-earthers Danny Faulkner and John Baumgardner, listing their combined twenty arguments claiming the HPT would boil the oceans, cook the atmosphere, and melt the crust. Then Bryan and Bob list a dozen factors they will employ over the next few programs to evaluate the heat transfer of the HPT including that expanding gas cools rapidly, the behavior of directed energy, the significance of boundary conditions, the role and behavior of supercritical water, and the nearly heat-neutral fusion of heavy elements. Walt's creationist critics support a competing flood model called Catastrophic Plate Tectonics which has its own heat problem with CPT advocates admitting that accelerated nuclear decay would melt the crust and appealing to a miracle as a solution for removing that heat. HPT, in contrast, observes physical processes that mitigate heat. Dr. Brown, incidentally, received his Ph.D. from the Massachusetts Institute of Technology's Heat Transfer division in their engineering department while working in MIT's heat transfer lab. 2. The temperature of the flood waters coming up from below, being supercritical as Walt Brown indicates, ]were at least 1300oF. 14. Water moving at the speeds Walt Brown indicates for the fountains of the great deep [escape velocity is minimum of 7 mps, up to 32 mps] would produce tremendous turbulence which would slow down at least a portion of the water jet and transfer kinetic energy to the atmosphere. 18. Using Dr. Brown's own energy estimate on the order of 1030J of kinetic energy carried by the fast neutrons from super-heavy element fission [see Bryan Nickel's video for context explaining that these neutrons produced the deuterium in today’s oceans] results in the kinetic energy of the fission fragments being estimated at 33 times that of these fast neutrons with the waste heat arising from these fission fragments alone being on the order of 1031J, enough to vaporize the entire granite crust hundreds of times over. 4. Supercritical water (its state in the subterranean chamber) has surprising behaviors (for ex., it's compressible) is a fluid that cools as it rapidly expands with a slope defined according to the Clausius-Clapeyron Equation. 5. Outer space functions as a virtually infinite heat "sink" not only radiating away (cooling) the fountains most energetic water and debris but actually removing that ejecta. 6. Air is a great insulator [like home insulation and Thinsulate]. 7. Z-pinch (crustal lightning making heavier nuclei including dangerous radioactive elements like uranium and thorium) is adiabatic (i.e, it doesn't produce heat) and is even called cold repacking. 8. Time, even that of a single year (and a few centuries of aftermath effects), can allow for the dissipation of large quantities of energy that would otherwise melt more of the Earth than actually did melt. 9. Estimates provided by critics trying to falisfy the hydroplate theory can be shown to stop suddenly short of affirming the hydroplate. 10. Forty days and nights (especially the nights) of torrential rain brought massive quantities of supercooled hail down onto the Earth. 11. The specific heat of water (i.e., a watched pot never boils), also called its heat capacity, is higher than any other common substance enabling the surface waters to absorb a tremdous amount of energy while raising its temperature minimally. * Would Hydroplate Theory Events Toast Us? 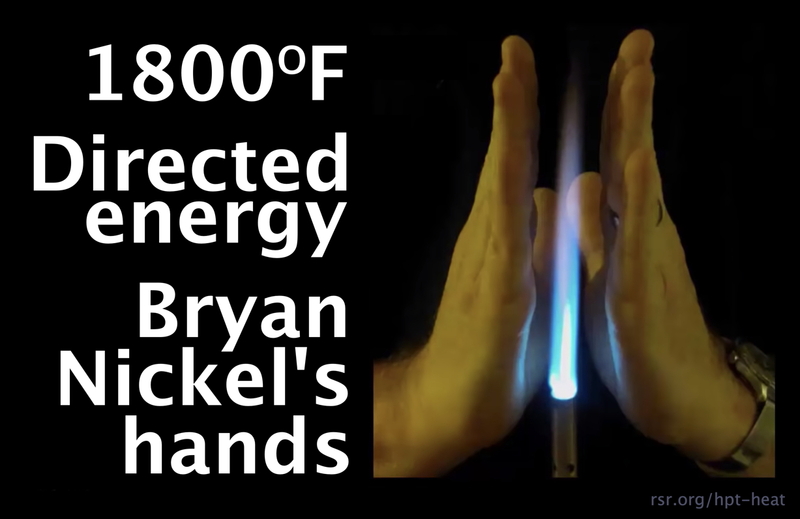 Real Science Radio's Bob Enyart interviews Bryan Nickel, a mechanical engineer who's spent 18 years in the missile division of a U.S. aerospace firm, about the criticism that Dr. Walt Brown's Hydroplate Theory would bring catastrophic heat to the Earth's surface during the global flood. The guys address four critics, anti-creationists Glen Kuban and Tony Reed, and fellow young-earthers Danny Faulkner and John Baumgardner, listing their combined twenty arguments claiming the HPT would boil the oceans, cook the atmosphere, and melt the crust. Then Bryan and Bob list a dozen factors they will employ over the next few programs to evaluate the heat transfer of the HPT including that expanding gas cools rapidly, the behavior of directed energy, the significance of boundary conditions, the role and behavior of supercritical water, and the nearly heat-neutral fusion of heavy elements.